Natural Gas - Clean Future Fuel or Fracking Shale Nightmare? Blog Natural Gas - Clean Future Fuel or Wolf in Green Clothing? Natural gas has been in the spotlight lately as the clean fuel of the future, but what do we know about this clean gas? We already use it in our home furnaces, water heaters, stoves, fireplaces, even some cars (CNG); but it is now becoming the energy of choice to produce our electricity. While it is a cleaner burning alternative to coal, is it our best choice? There are two parts to this question, how it is obtained, and how it is used. Natural gas is a fossil fuel derived from plant and animal matter that was heated and pressurized over time within the earth’s layers. It is a byproduct of oil drilling and for many years was just burned off with flares or re-injected back into the wells (and it still is in many countries). More recently, it has become a resource constituting it’s own development as an energy source. 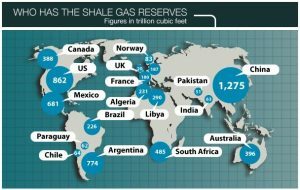 As a result, many oil companies are looking into developing the vast shale gas reserves found throughout the US as a new domestic energy plan competing with renewable energy. 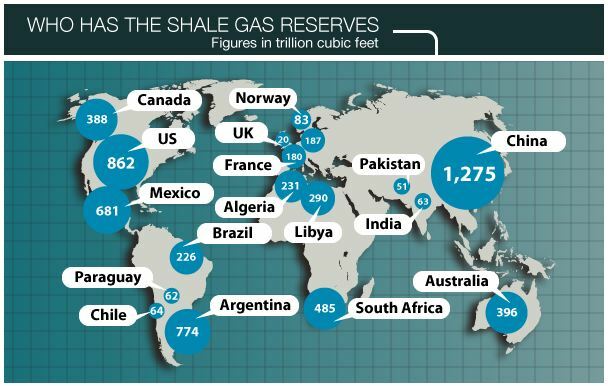 Shale gas extraction is a bit more complicated and requires hydraulic fracturing (fracking) of the fine clay like rock to obtain sufficient amounts of the gas. Chemicals (some which are toxic and unrecoverable) are injected at high pressure into these drilled wells, fracturing and breaking up the shale rocks and thus releasing the natural gas. Commercial production didn’t begin until the 1970’s primarily due to the high costs associated with shale gas extraction. Concerns over environmental impacts have prompted wide-spread opposition aided in part by the movie Gasland and environmental action groups. Fracking has been linked to earthquakes, contaminated groundwater, contaminated drinking water, major health problems, and environmental destruction. The gas captured from drilling is made up of several compounds which typically include: methane, ethane, propane, hexane, heptanes, pentane, and butane. Most natural gas is then purified down to methane in order for a cleaner burn. The ‘rotton eggs’ smell is added to the methane to help detect leaks prior to distribution since methane is actually colorless and odorless in it’s pure form. The simplicity of the Methane chemical makeup allows it to burn cleaner when compared to other fossil fuels, such as oil and coal, leaving only water and carbon dioxide after combustion. The real impact occurs at the extraction and production level, and there are more environmentally responsible renewable sources available. Methane captured from landfills and decomposing organic material can be harnessed as an alternative to drilling or fracking, but need to be developed further for commercial use. What are your thoughts on the subject? Comment below to start the discussion. The cost to the environment means nothing to the bottom line of the energy companies. Pumping large amounts of toxic liquid into the ground is never a good idea.